Scientific freedom is essential to the advancement of human knowledge for the benefit of all. Scientific freedom is the freedom to engage in scientific inquiry, pursue and apply knowledge, and communicate openly. Scientific freedom is considered to be an essential prerequisite for research independence and legitimacy. In times of alarming increase in fake news and marketing gimmicks , critical thinking is an important skill that is needed for everyone. Scientists and educators need to champion values such as scientific freedom and the public good. Vendors have huge money power and marketing/sales departments .I fully respect the rights of GIS vendor owners to market their products. However, I am concerned to see now lot of marketing esp. using social media from some GIS vendors marketing their products as “The Science” . So it is important to understand the proofs and scientific reasons on why any specific proprietary GIS product is being marketed as “The science”? Last year I asked the question on “Is Geographic Information Science proprietary ?". I am still waiting for proof and scientific reasons to help me understand why any specific proprietary GIS product is marketed as “The science”? I am just an individual scientist. But I believe that the individual scientific freedom includes freedom of expression for scientists and educators. I believe Science is a public good and quality education opportunities should be open and accessible for everyone. In my humble opinion, Science is not any specific GIS tools! (proprietary or open source). Any proprietary GIS vendor owners doing sales/marketing of any proprietary GIS products as “The Science” is either just joking : -) or misleading customers! Geographic Information Science is not “owned “by any GIS vendor owners! I will keep working to reduce the digital divide and contribute to building up Open Knowledge for the benefit of all humanity, with special effort to enlighten future generations. I will contribute my service for the betterment of all humanity using the guiding principles of the United Nations 2030 Agenda for Sustainable Development in building a better world for everyone. I will work to advance and increase Open Knowledge for the benefit of all humanity with special consideration of those less fortunate. I will be a voice for Open Principles in Science and Education. Thank you for your open letter about the importance of scientific freedom. I could not agree more that it is essential for the benefit of all, across the entire world, and certainly now more than ever with many branches of science being under outright attack. Geographic information science is an important part of this, an important contributor to the advancement of human knowledge, as well to solving so many societal ills. 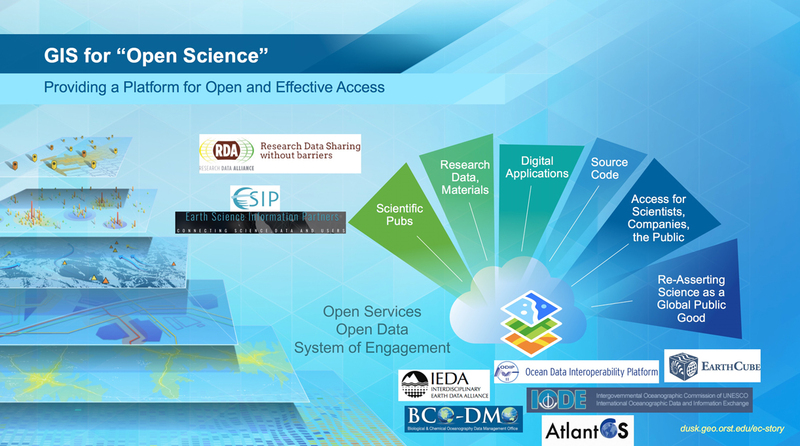 I like your statement: "science is not specific to any GIS tools (proprietary or open source). I would offer a friendly amendment that science is actually specific to ALL GIS tools, whether proprietary or open source. We can all do amazing science with these tools, and I believe we have the term geographic information science given how science has been advance because of the development not only of the tools, but of the approaches, the algorithms, and even an important subculture that is particularly open to non-Western perspectives and to women (although our colleauges in critical geography say that we still have a way to go - which I agree). Science is indeed absolutely critical to the development of effective GIS tools and to the way these tools are implemented, regardless of proprietary or open source, OR a combination of both. This is why in the GIS and IT commercial vendor space, many companies actually have Chief Scientists or Research Divisions. For example, there is a Chief Scientist of Tableau, a Director of Research at Google, a Chief Environmental Scientist at Microsoft, and even a Chief Scientist at Esri. These individuals seek to strengthen the scientific foundation of the products in development, to ensure that they adhere to proper scientific principles, to reduce the possible error and uncertainty associated with the tools, and to innovate with new tools, new approaches (some of them patented), and even new open global datasets. Scientists at these companies contribute to science as well, particularly by way of publishing peer-reviewed journal articles (often in collaboration with academics, indeed with many members of RDA). They contribute to research specialist meetings, they serve - objectively - on committees of the National and Royal Academies of Sciences, and participate in critical boundary organizations such as RDA. To fully disclose the source of your concern, Esri (also known as the Environmental Systems Research Institute), does have a new tagline known as "The Science of Where." The president of Esri has stated that this "speaks to the power of location. It speaks to what can be achieved when data's full potential is unlocked. It points to what GIS professionals do every day around the world–improve the quality and speed of decision-making, and realize better operational outcomes, whether it's implementing location strategies, mapping the ocean floor, or managing logistics and critical resources." There is no vast, evil, global conspiracy by Esri to "own" geographic information science or science writ large. This is not a joke. In addition, Esri donates millions of dollars of software and support to the developing world, to hundreds of universities, to every K-12 school in the US, and is working closely with the UN on implementing the Sustainable Development Goals as part of the 2030 Agenda for Sustainable Development. These are just a few of the ways that Esri is trying to contribute. But we all have the complete freedom to use Esri tools or NOT to (or to combine the nearly 250 Esri open source tools with our own open source approaches). Our choice of tools should be governed by whether or not they meet our needs and purposes, and are reasonable and straightforward to implement while producing rigorous results. This is the beauty of a competitive landscape and of peer-review. Don't let Esri's tagline bother you. Just continue to do your own good work. Or realize that we may even be able to work together. I applaud you in your work to reduce the digital divide and to contribute to the creation of open knowledge for all. I believe this what we all seek. Let us focus on what unites us rather than seeking to divide or criticize or tear down. There is more than enough to do around the world. And I am thankful to be in a geospatial community in which so much good is done every day and for future generations. Thank you for your email replying to my concerns. I agree with you that Geographic Information Science is an important contributor to the advancement of human knowledge, as well to solving so many societal challenges. It is great to see over the last decade especially has helped opened GIS opportunities for the developing world and poor communities. I came across GIS by serendipity. Over twenty years back, I was a student in Civil Engineering in India and by pure chance I came across a short article in a magazine in my college library on the amazing Geographic Information System that is used by town planners. That was the first time I heard about the wonderful technology called GIS! At that time there was no GIS in the college where I did my degree. I still remember the struggles and the difficulties that I went through to get access to GIS as very few universities that time had access to high cost GIS. I got some amazing opportunities later on to learn GIS, so now it is my duty to support others in learning GIS. I am very grateful for the scholarships and help from lots of amazing people that helped me along the way. I was determined from the start to making geospatial education opportunities accessible to all. 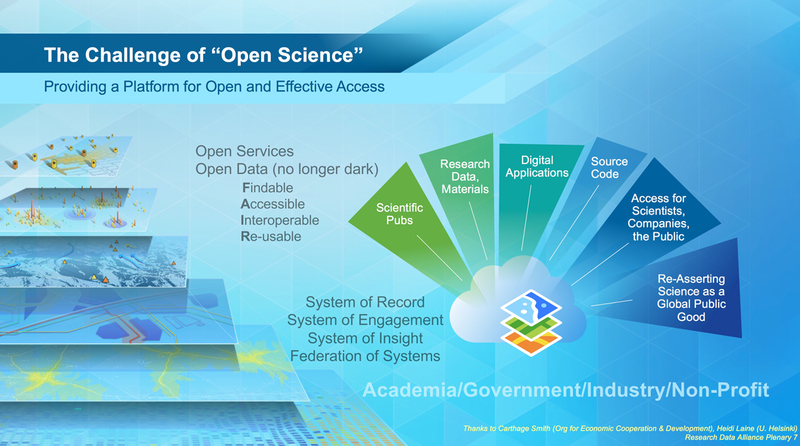 As you are aware Open standards are very critical to the Openness of Science. Following discussions in the community around three years back , I did raise the open standards in LiDAR issue through an open letter  as it affects our academic colleagues and students working in LiDAR research and teaching and also will have long term impacts on Open Principles in Geo Education. This issue made me realise that the scientific and academic community need to be very vigilant to avoid the creation of monopolies. It is very important that there are no monopolies created in GIS. Having lot of companies and start-ups in the geo domain will ensure healthy competition which will help drive down costs and help accelerate innovation opportunities for all. Having more options for reducing risks to any proprietary lock-in will be a key factor in achieving cost savings and improving efficiencies for governments and organisations worldwide. I believe GIS is a fundamental technology for enabling basic infrastructure development in developing countries and i am hoping that governments worldwide strongly invest in this but it is important that there are low cost solutions available with local innovation ecosystems esp. in poor countries . The high cost of GIS software has been a reason that even today many of the cities and towns in developing countries do not have working GIS systems for urban planning etc . I fully agree that there should be choices and strong competition and it is upto the customers to make the decision based on their requirements on a wide range of criteria and there is no one right choice. But it was just by coincidence while i was working on getting data for a research paper (still working on!) on "How to quantify the economic impact of Open Source Geospatial software " that i came across Randal Hale's email's on the difficulties faced by one high school in the USA for Proprietary software updates . It was a clear wake up call on the consequences of Proprietary GIS agenda for schools and education. It was then i decided to send an Open request to AAG and humbly request AAG to specifically include Open Education principles firmly in the new Advanced Placement course in Geographic Information Science and Technology (GIS&T). On 22nd June 2015 when i read Dave Murray's (GIS Coordinator, City of Westminster, USA ) reply email on this ,i realised that this is a much wider problem and we need to make all colleagues globally aware of the dangers of falling into any vendor's very clever marketing traps for online services . Dave has kindly given me permission to share his email with the wider geo community so the wider community is aware of these kind of clever marketing and vendor lock-in tactics . I sincerely thank Dave for coming forward to share his experience so others do not fall in these very clever strategies of some vendor (either open or properitery). Dave wrote "We got caught in the proprietary vendor's trap a couple of years ago. Our public works department adopted the vendor's online service. We had a number of business operations running that were critical to our success. Then the vendor told us the service would cost $15,000 + per year to continue. Quite a shock and after we even promoted their service at conferences. After that, I have real questions about what I can believe from them.”. I believe 99 percent of the geobusiness and vendors (both open and properitery) are honest and follow good and ethical business practices . But it is a reminder for all of us to realise the costs of being silent for any misleading marketing strategies of any vendors (either open or properitery) as it is affecting not just government organisations such as City of Westminister in USA and other government, business and education organisations worldwide as the cost of moving from vendor lockin will be so high that users will be forced to keep paying whatever higher rates the vendor sets in the future but it also will affect our future generations education and innovation opportunities. If this can happen to a government organisation in an advanced country like USA imagine the situvation for poor countries! I believe in the importance of Open Principles in Education. GeoForAll means Geo for All and we welcome everyone to be part of Openness in Education. The GeoforAll mailing list and discussions are all fully open to all. All major properitery GIS vendor staff are members of GeoForAll lists and i welcome them with friendship and they are all free to contribute ideas and discuss their ideas/viewpoints. It is also important the voice of voiceless is given chance to be heard.